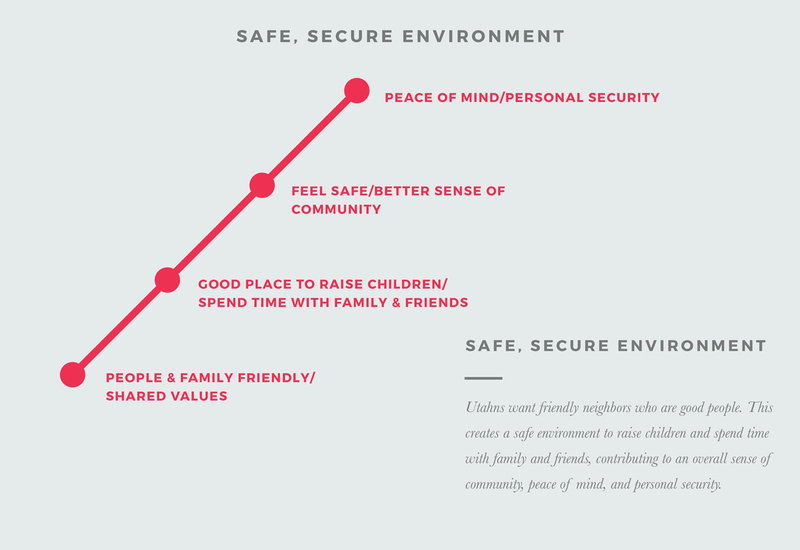 Utahns envision communities that are safe, close-knit, and family-friendly, where good people create a great environment to raise children and enjoy life. They see a diverse and strong economy that is less vulnerable to disruptions, along with homes, buildings, infrastructure, and communities that can withstand a disaster. They envision producing a significant amount of their own food and energy, so they are more self-sufficient and less reliant on places outside of Utah. 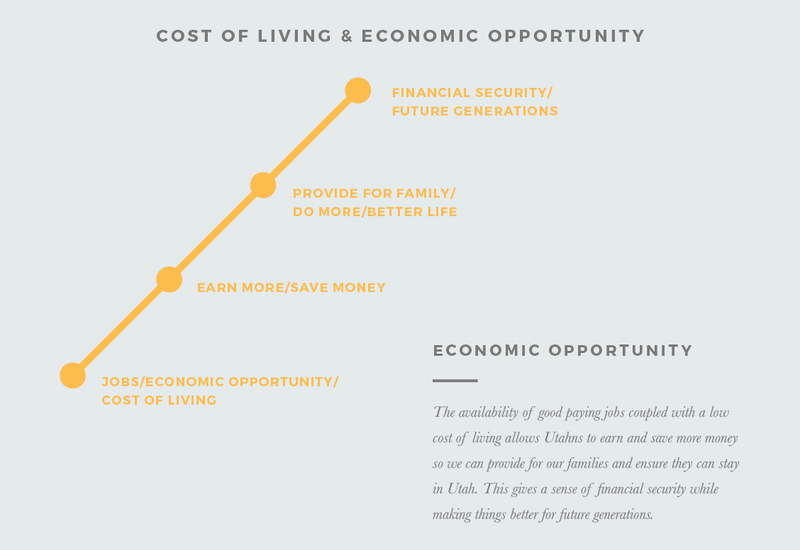 Utahns envision a prosperous economy and thriving communities. They see plentiful, diverse jobs with family-supporting wages, which, combined with a low cost of living, allow Utahns to provide for their families and achieve a high quality of life. They envision a resilient economy that is able to compete in local, national, and global markets. To maintain a strong economy, Utahns believe that all residents should have access to a good education, so they can successfully contribute to that economy. Utahns envision a society that provides opportunities for everyone through high-quality education, a strong economy, and access to a variety of housing options in good, safe neighborhoods. They see a future where everyone is able to contribute to a better community. 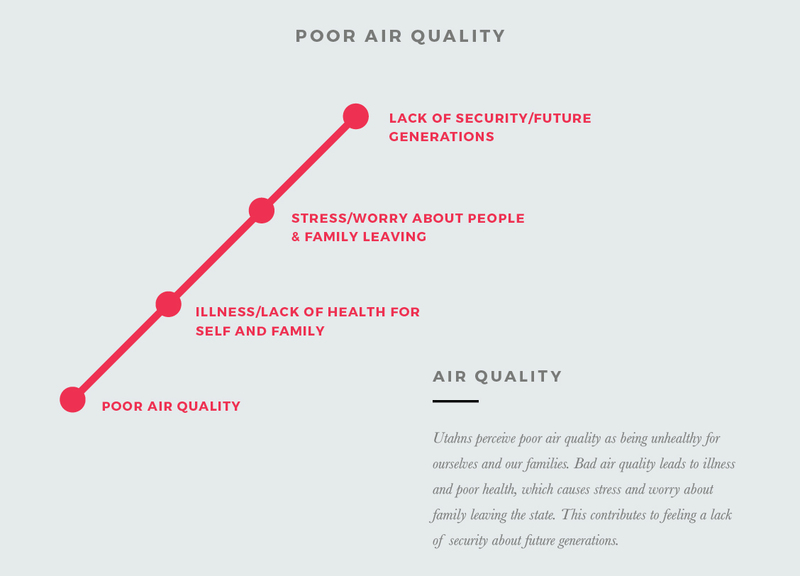 Utahns envision a healthy future in which the air is clean year-round. 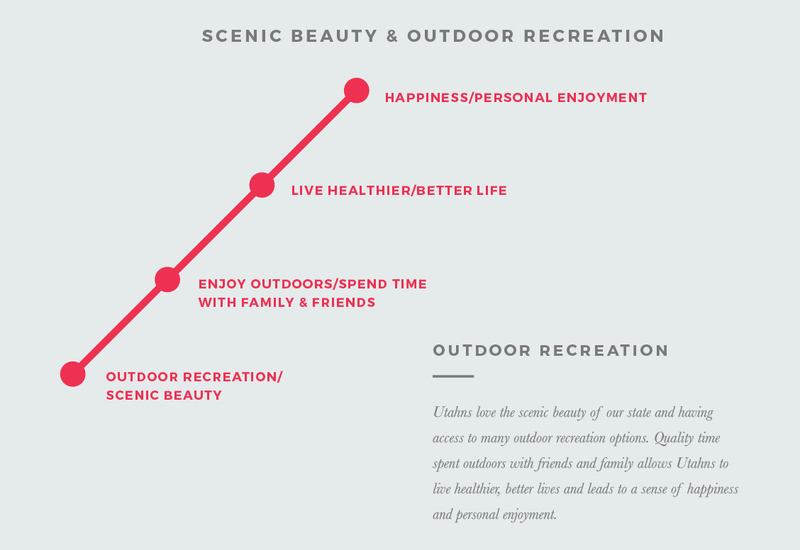 They see a future with good access to nature and outdoor recreation so staying physically active is convenient and enjoyable. They envision themselves being good stewards of Utah’s air, water, and ecosystems so that Utah stays beautiful and clean as Utahns balance all their needs. They also want fresh, locally grown foods for themselves and their families. 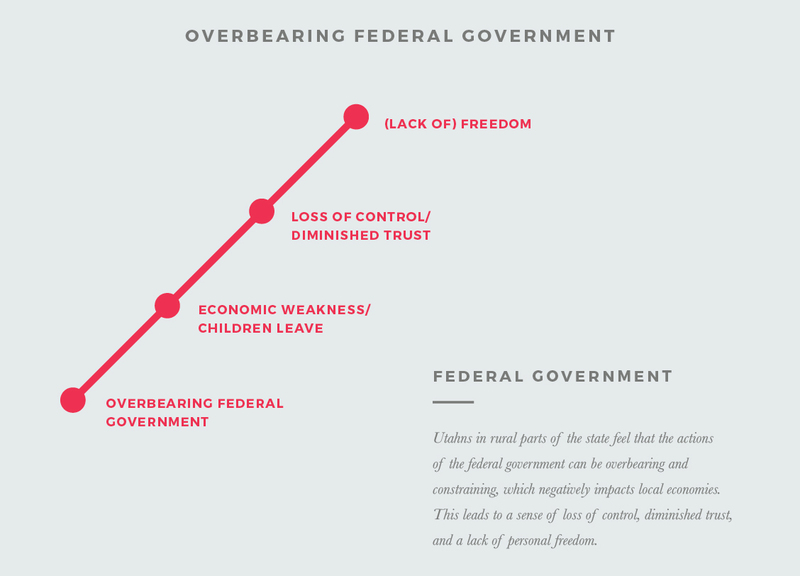 There are four core strategies, or cornerstones, for implementing the vision for Utah’s future. These cornerstones take advantage of synergistic opportunities across the 11 topic areas. These cornerstones are therefore robust strategies that improve the outcomes of multiple topics. By focusing our individual, business, and government efforts on the actions found in these four cornerstones, we can achieve Utahns’ vision for the future. 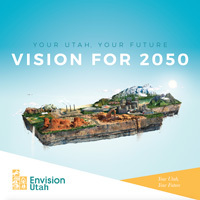 Click here for more information on the Envision Utah Values Study. Click or swipe to scroll left or right.